President Trump repeating the lie that America is a “nation of believers” or that “faith is central to American life” doesn’t make it true. Our nation’s Constitution references religion three times: to prevent the government from favoring religion, to prevent the government from interfering with individuals’ religious beliefs, and to prevent religious tests for office. Our freedom to believe—or not believe—as we see fit is what has made our nation so successful. To not only ignore the 80 million Americans who are non-religious but to say that their lack of religion makes them less American is outrageous and disheartening, but no longer surprising. 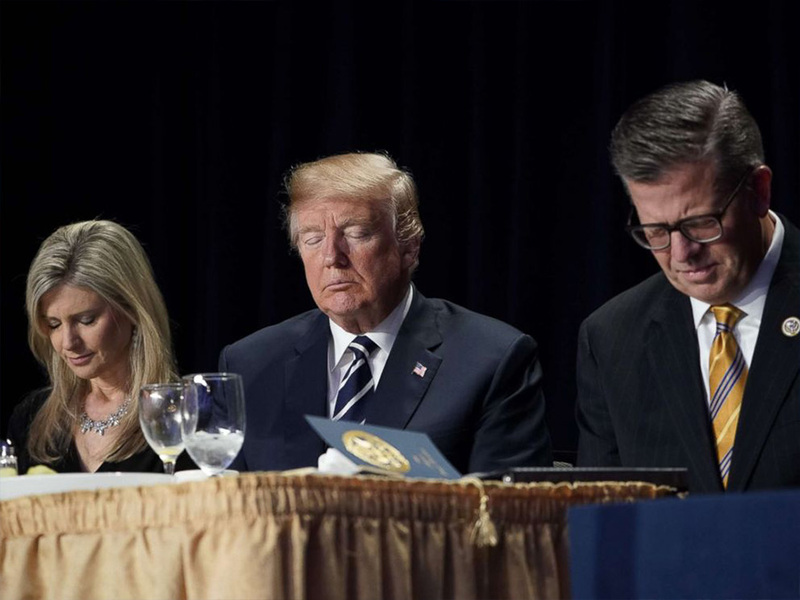 This president has demonstrated time and time again that he is more concerned with groveling before the extremists of the Religious Right than representing all Americans. Mr. Trump should spend some of his “executive time” reading the words of our nation’s founders about religious freedom. Our nation is one, from many. We are not, and never have been, one nation under God.